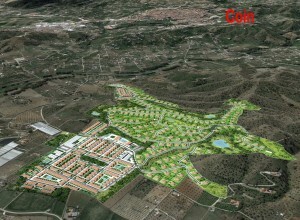 Resort Moretas is a sustainable and ecological development conveniently located within easy driving distance from Málaga Capital, Marbella, the airport and Sierra de las Nieves. This proximity provides easy access to local culture, history and gastronomy, as well as beaches and outdoor activities such as hiking. to the airport 35 min. to Malaga City 45 min. Treatment and re-use of residual water for maintenance and irrigation of green zones.